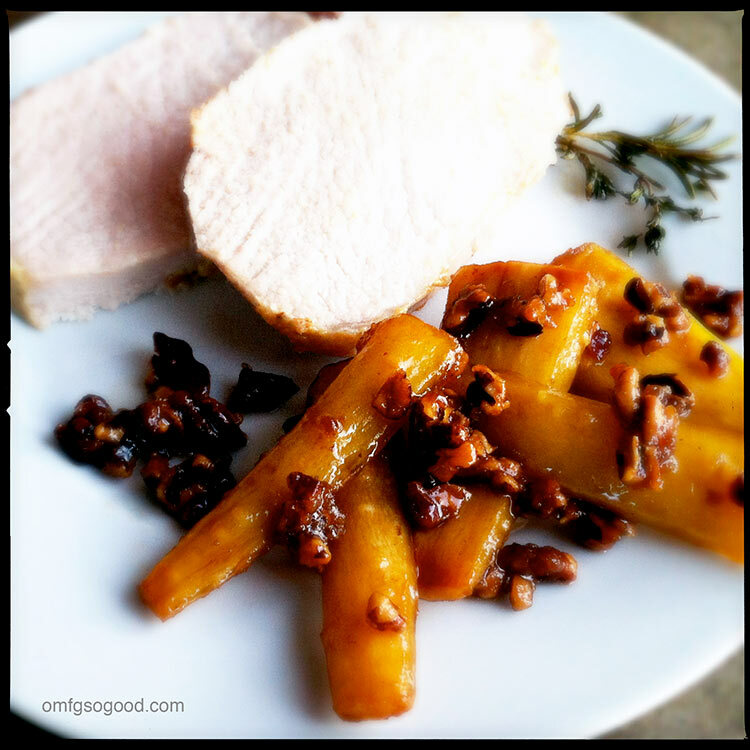 salted caramel braised parsnips | omfg. so good. I’m always amazed at how many people have never tried them. They’re so sweet and nutty. Sort of like me. Why not give them a go? I did manage to salvage enough to share with the troops, alongside a fresh from the oven rosemary dijon pork loin roast… with which I may have doubled my mouth-roof burnage factor. Patience is apparently not an attribute I can boast of. In a small saucepan, melt 1 tbsp of the butter and add in the pecans and cayenne pepper. Stir to lightly toast then remove from the pan and set aside. In the same pan over medium heat, melt the remaining 2 tbsp butter, add the brown sugar, bring to a low boil, stirring to combine then reduce heat and simmer for five minutes. Add the pecans back in to the mix, stir to coat and set aside. 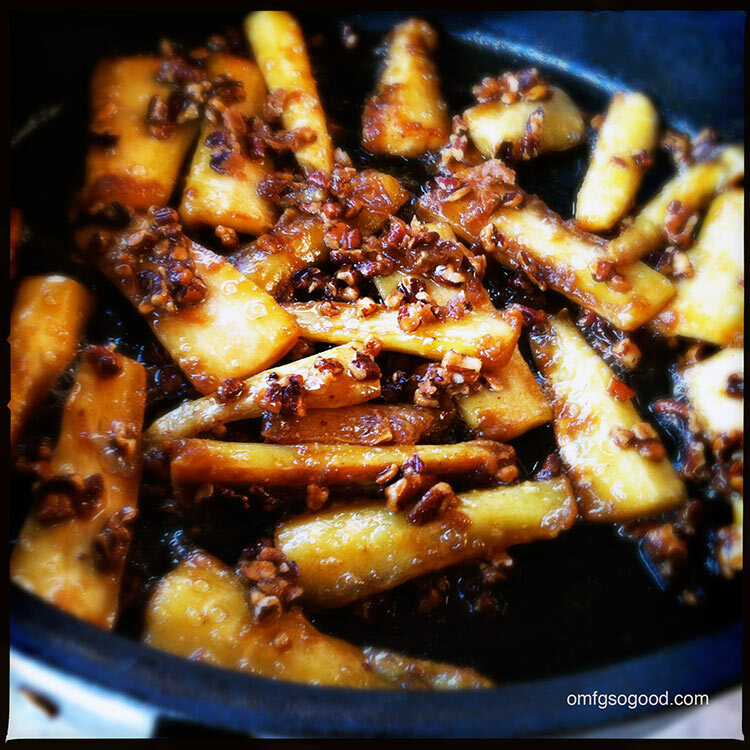 Drain off any excess water then pour the caramel/pecan mixture over the parsnips and gently stir to coat. Sprinkle with sea salt before serving. Hell, salted caramel anything lovers unite. Let’s just do this, people. “Mmmm parsnips”, are words I have yet to say… until just now!!! Looks so yummy. Absolutely love how you added the pecans. THESE LOOK DELICIOUS. I also love the pork pairing. WILL TRY.